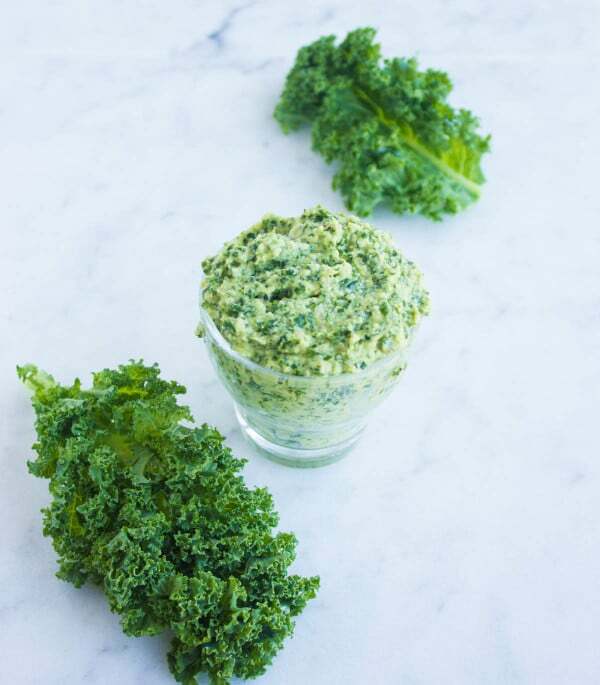 A super flavorful kale artichoke walnut pesto recipe that makes a perfect sauce, filling and dip. Just 5 minutes to prepare and keeps in your fridge for a couple of weeks to rescue any dull foodie moment. As an extra bonus, it’s super healthy! Change the nuts, add extra or less lemon, any fresh herbs to make it your own! A few days I had a conversation with a friend who absolutely loves my sun dried tomato pesto and keeps it in her fridge at all times. So I suggested to her trying different versions of pesto,and she was intrigued and excited to the idea. 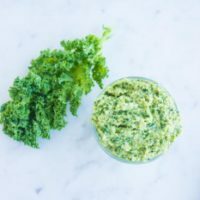 So this kale artichoke walnut pesto is just one of the many ways to make a fabulous quick pesto sauce and enjoy packing up flavors to your meals! 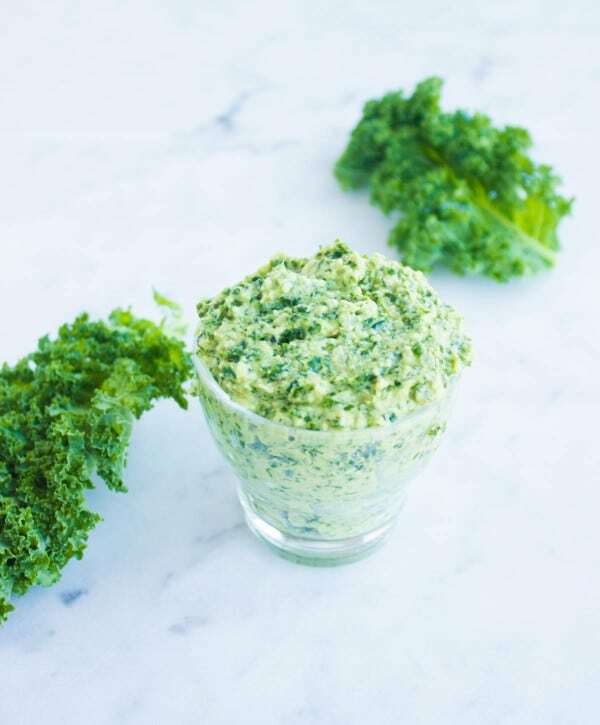 This kale artichoke walnut pesto is flavored with garlic and a touch of lemon juice, a pinch of chili flakes for a nice kick and fresh parsley to brighten it up. Feel free to add more herbs, some parmesan cheese to make this personal. I’ve also made it with pistachios before and it was beyond fabulous! 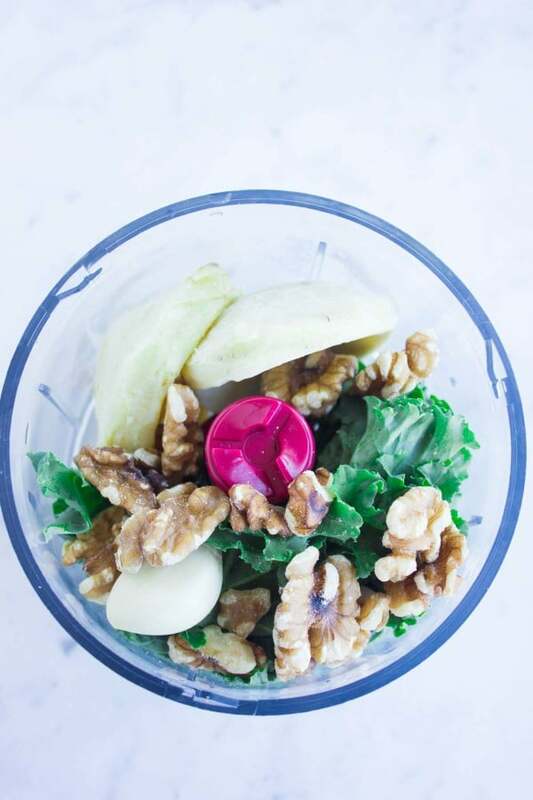 Today I had walnuts on hand, so we’re all for the walnuts. 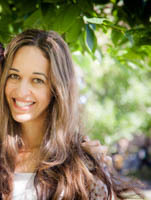 This version here is gluten free diet friendly, paleo and vegan diet friendly too! You can substitute hemp seeds for the nuts like in this protein packed nut free hemp basil pesto and make this completely nut free too. The pesto makes a great sauce for your grilled meats, and if you’re looking to boost up a good old cheese sandwich—try using this pesto as a spread on your bread! Or if you’re in the mood for a dip, mix it with cream cheese and enjoy snacking in a snap! 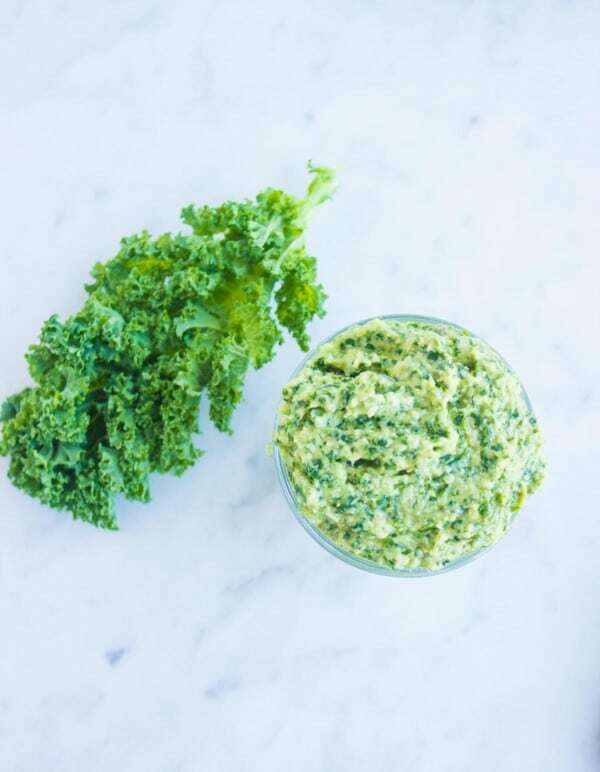 Or for a more luscious creamy dip (spoiler alert -I’ll have to remove the healthy label for this one) bake the kale artichoke walnut pesto with cream and parmesan cheese for a creamy artichoke kale dip! Place all the ingredients in a food processor and pulse into a pesto. This recipe is very interesting but I’m confused on the artichokes. 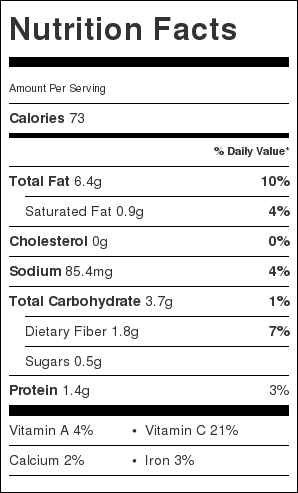 If I used canned what is the quantity? Do you mean hearts?